French legend Christophe Dugarry, made one of the loudest criticisms against Jose Mourinho’s constant bragging of his trophies. Despite his reputation as a successful manager and his excellent track-record, Jose Mourinho has quite a few critics such as Christophe Dugarry who really hate the way in which he conducts himself in public. 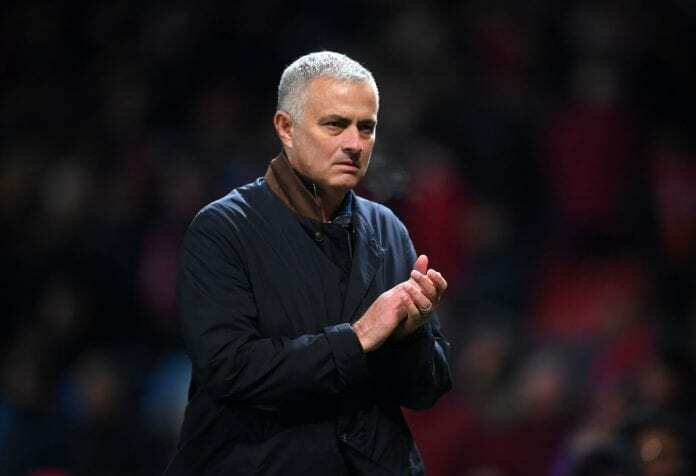 The latest message that the Portuguese manager sent to all his naysayers was quite colorful, it must have hit a nerve with the Frenchman because he responded to it with a very rude statement to Le 10 Sport where he described the way in which Jose is destroying Manchester United’s prestige. But the criticism against him remained mostly on the ultra-defensive style of play that Jose Mourinho is making United play, Dugarry was one of the few players who had the pleasure of losing against the most powerful United from the Sir Alex Ferguson era at the start of the millennium. In his memory, the Red Devils he knew was a highly offensive squad that set the standard for what a proper football club should be and Jose Mourinho is quickly ending this notion that the people have of Manchester United. Dugarry offered an interview to the French media outlet, where he didn’t pull any punches when he spoke about what Jose Mourinho is doing to the club. The former France international even spoke about some of the biggest legends that the club had back in the day, and he also reminded Mourinho that the Mancunian fans don’t care much about the stuff he’s won in the past as a manager, only about the way the club plays in the present. “It’s unbearable. He’s wrecked the club. When you see them play on Tuesday [against Young Boys], it’s catastrophic, it’s awful, when we all remember Manchester with Roy Keane, [David] Beckham – all the great players, they played offensive football,” said Dugarry on the interview. “We don’t care at all about what you’ve won, mate,” he concluded. Jose Mourinho | World Cup winner Christophe Dugarry, now a pundit, has his say. "He’s wrecked the club…. catastrophic, it’s awful." "We don’t give a sh** about his titles." Regardless of how much criticism Jose Mourinho keeps getting for this new Manchester United that he is trying to impose on the fans, the man doesn’t seem to care much about the way he does things and he cares even less about getting rid of an offensive tradition that lasted for decades in the club. Jose has repeated it many times, the clubs that the fans or history books remember are the ones that win the titles, not the ones that play the most beautiful football. But there is a half-truth in that because history does remember squads like Johan Cruyff’s Holland, or Tele Santana’s Brazil; teams that may have never won an important trophy but left a lasting impression in football due to how beautiful they performed. What we don’t get about this Jose Mourinho who seems stuck in his own negative loop, is that we have already seen that his squads really are capable of playing offensive football and winning titles while doing it. We don’t get the reason behind the manager’s choice to move away from actually entertaining the fans, even more so because he coaches one of the biggest clubs in the world. Why do you think Jose Mourinho seems adamant on making Manchester United play defensive football? Please share your opinion in the comment section down below.